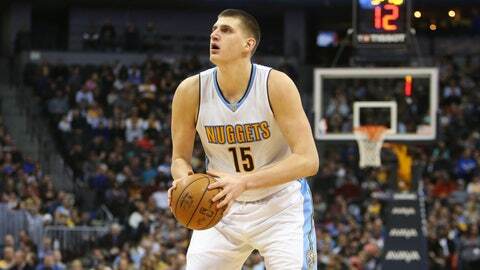 Coming off his first NBA triple-double, Nikola Jokic is trending towards becoming the best Denver Nugget of all time. Yes, I know it’s way too early to label Jokic as the best Nuggets player over Hall-of-Famers Alex English and David Thompson, but his play is proving that one day, he could be the best Nugget ever. Jokic added 20 points, 13 rebounds, and 11 assists in his first ever triple-double in the NBA. The crazy thing is, Jokic isn’t even 22, and it’s only his second season in the league. Andre Iguodala was the last Nugget to record a triple-double for the Nuggets in 2013, and before that it was Carmelo Anthony, who didn’t have his first triple-double until his fourth season in the NBA. Jokic got his first triple-double after coming one to two rebounds or assists off of a triple-double a total of four times this season that included both a 27 point, 17 rebound, 9 assist showing against the Dallas Mavericks and a 29 point, 14 rebound, 8 assist performance against the Phoenix Suns. Jokic has proved his consistency as of late as well. He has had 10 or more rebounds in 9 of the last 10 contests, all of which were double-doubles except for last game in which it was a triple-double. Also during that span, Jokic is averaging 24.4 points and 5.5 assists, scoring over 18 points in all 10 games, and 29+ in four contests. The Nuggets have won more than not when Jokic is leading the way. Not only has Jokic been putting up numbers, but he is the biggest reason as to why the Nuggets have been winning and why they have the sole possession of the eighth seed. Since the December 15th lineup change in which Jokic was inserted back as the starting Center, the Nuggets have gone 12-8 with Jokic playing. In the four games Jokic missed due to injury during that span, the Nuggets went 1-3. In the 20 games that Jokic has played in over that span of games, the Nuggets went 9-1 in games where Jokic played over 30 minutes. The only loss came to the San Antonio Spurs, who hold the second best record in the league. In games where Jokic played less than 30 minutes, they went a poor 3-7. 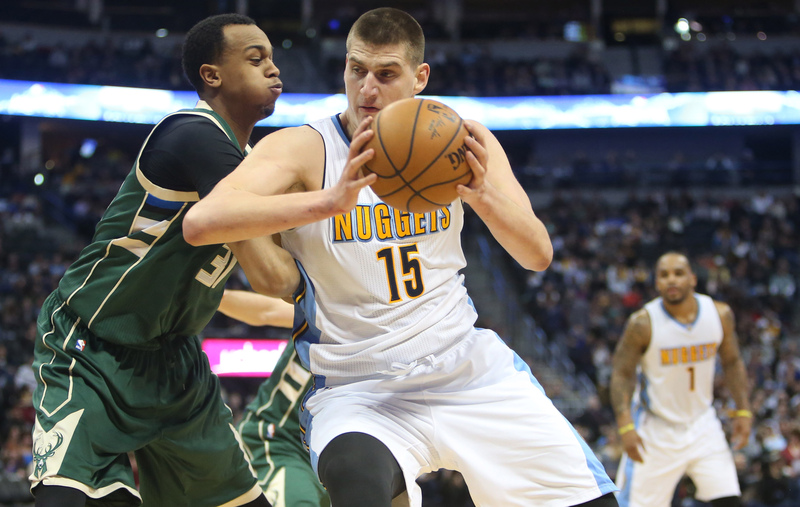 The Nuggets’ season has heavily relied on Nikola Jokic and it’s not hard to tell why. He only has a 22.6% usage rate, which isn’t even top 50 in the NBA, yet he makes so much of a bigger impact to the Nuggets. He is 9th in the NBA in player efficiency rating with a 26.72 and led the entire league in PER in the month of January with a 33.9 rating. Nikola Jokic is a special player in this league, and is easily the best Nugget since Carmelo Anthony was here, but why is exactly would he be on his way to becoming the best Nugget of all time? The Nuggets have found themselves a superstar in Nikola Jokic and the way he is playing is proving as to why he could be the best Nugget of all time. 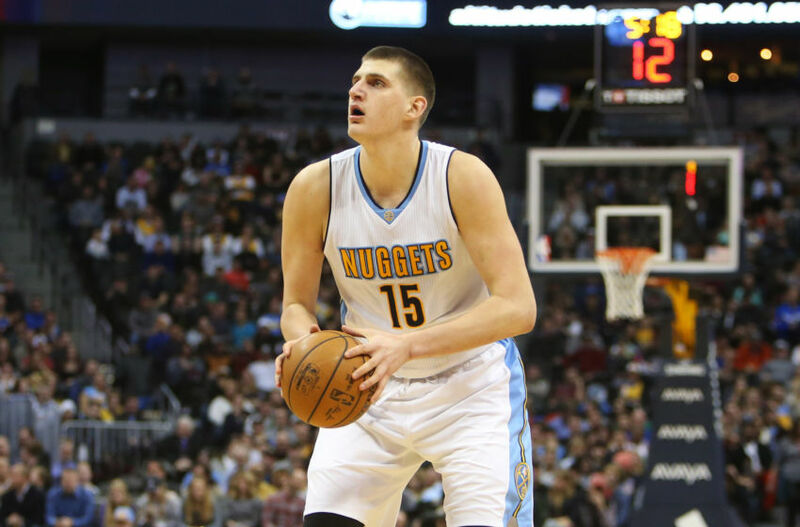 Even over all time Nugget greats including Alex English, Fat Lever, David Thompson, and Mahmoud Abdul-Rauf, there is a way Nikola Jokic can be better than all of them. All of those listed players were great players for the Nuggets, and helped them win games and make it to the playoffs annually, but Jokic stands out compared to the others. Nikola Jokic is always for the team and the team only. 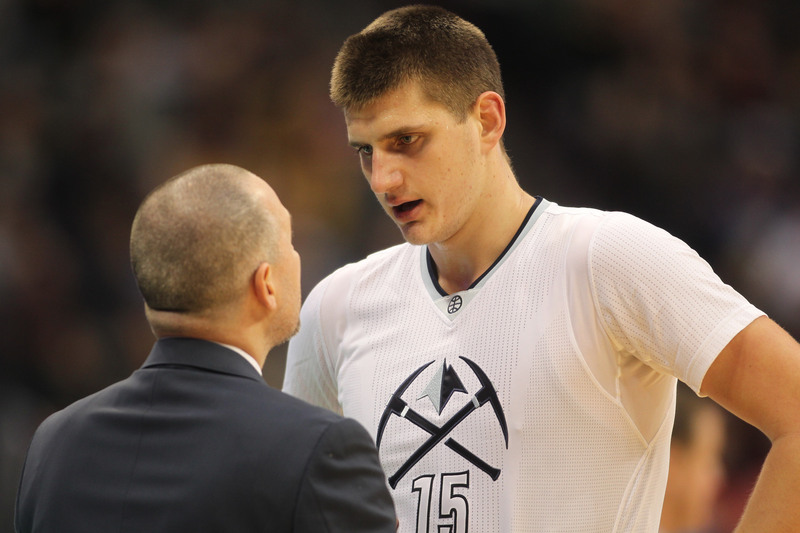 Unlike Carmelo Anthony, the last true star for the Nuggets, Nikola Jokic is all about the team. There have been little to no times when Jokic has taken credit for a win. Even following a top 10 game of his career, he still made every teammate sign his game ball. Jokic creates plays for both himself and his teammates. For being a 6’11” center, play-making similar to Jokic’s is extremely rare. Jokic also carries a very high basketball IQ. For a player who has a vertical jump of less than 5 inches, Jokic has to rely on other parts of his game, including his passing. Some of his passes have been eye-boggling that only certain basketball greats could make. Not only does Jokic rely on passing, but his shooting has proved to be a lot better than expected. He is shooting 63.8% on shots inside the arc. He only trails DeAndre Jordan, Rudy Gobert, and Dwight Howard in that category. Those three centers are 1st, 2nd, and 3rd in dunks this season. Jokic has around 10 dunks all season. All in all, Nikola Jokic is using the skills he has to guide the Nuggets to winning, and he has the abilities to become the greatest Nugget of all time. Nikola Jokic is a special talent and is a very unique player in today’s league full of athletic monsters. 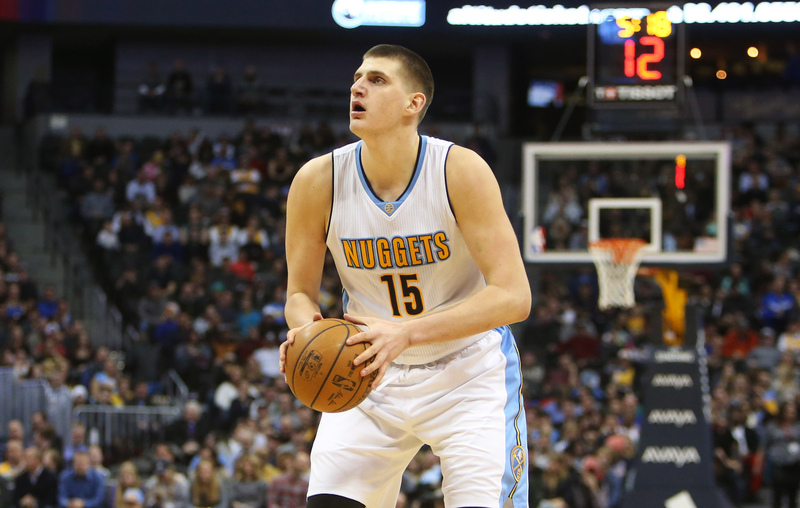 Jokic has a skill-set unlike any other NBA player and is using it to his advantage. His humbleness paired with his skill and likeability proves he has what it takes to be an all time great. With his recent play along with how he has led the team to winning, the Nuggets are only a year or two from possibly contending for a title. As for now, the Nuggets are slotted as the eighth seed and still fans aren’t showing up to games. Led by Jokic, this team is insanely fun to watch. The Nuggets play again tonight against the San Antonio Spurs and look to go on another winning streak. Nikola Jokic might just lead this team to the playoffs this season and he’s not even 22 yet.